One of my favorite things to wear are pajamas. As a woman who works from home, I may or may not work in my PJs… all day. It’s true. I make no apologies for it. I’m quite proud of the fact that I can sometimes work in my pajamas. Besides, I’m more productive when I’m comfortable. 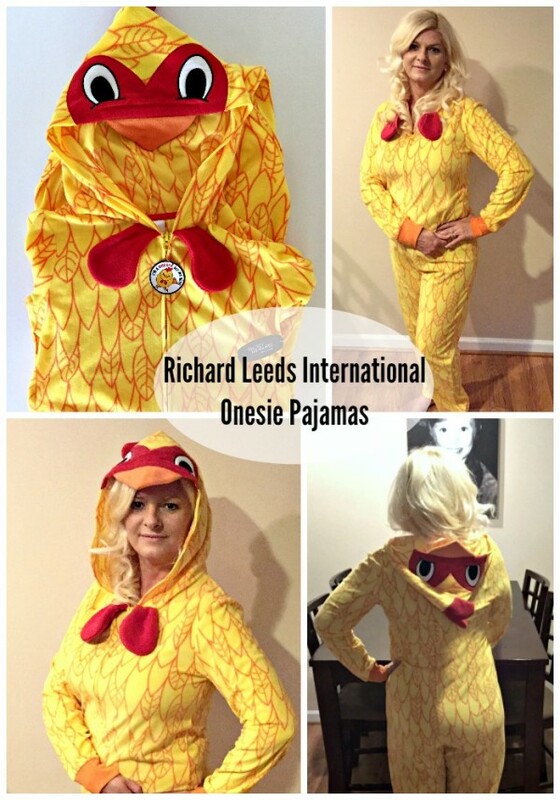 I recently received a Richard Leeds International one-piece pollo (chicken) pajama suit that is so cute! The onesie is so soft and comfortable but the material isn’t too thick or heavy. I know they will keep me warm this winter, but they’re light enough that I won’t be too hot. 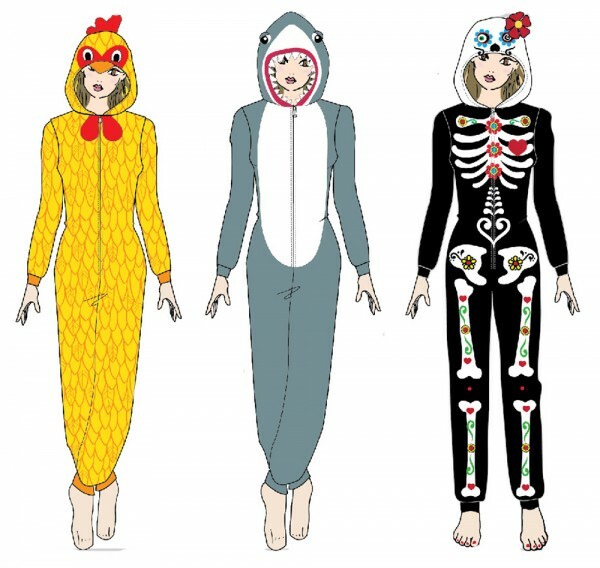 The plus side to these pollo onsies is, well, they’re just so fun to wear! My son cracks up every time he sees me in them, which make them worth wearing just for that reason alone. That’s one thing we do a lot of in our home – laugh. I love my onesie pajamas so much, I plan on picking up more to give as Christmas gifts this year. Pajamas are one of my favorite gifts to give and receive. You can get non-character onesies like mine that come in not only the pollo or chicken, but you can get the shark onesie or the Black Soot Skull onesie. There’s also Disney character onesies. Like, Olaf, Ariel, Minnie, Sugar Skull, and I have the Eeyore onesie from last year (so stinking cute). Olaf is next on my list. I have some wonderful news! I’m excited to share with you this incredible giveaway! Giveaway begins 9/16/16 and ends 10/7/16. Giveaway begins on 9/16/16 at 1:00 am CST and ends on 10/7/16 at 11:59pm CST. Must be 18 years or older, open to residents of the US only. No purchase is necessary to enter. One entrant per household, per address. All entries will be verified. Void where prohibited by law. Winner will be contacted by email; Please add [email protected] to your whitelist. Richard Leeds International will be responsible for prize delivery to the winner. This giveaway is in no way administered, sponsored, endorsed by, or associated with Facebook and/or Twitter, Google, Pinterest, or any other social media platform. The participating bloggers were compensated for this post. Once confirmed, the winners will be added to the Southern Mom Loves Winner’s List. 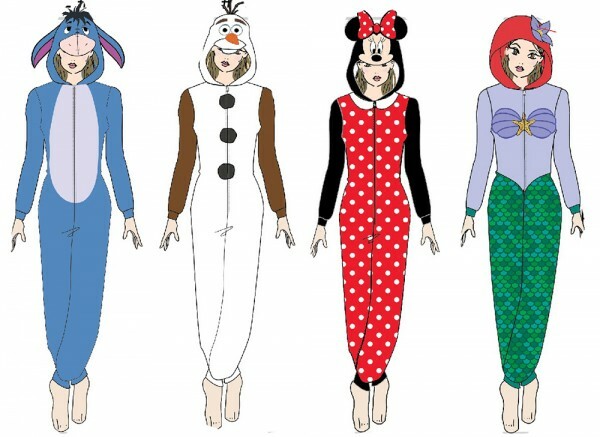 I would like any of them but especially the Minnie one piece. And gosh do I need pajamas. Yours are so cute. I can imagine my girls would laugh at me as your son does and yes it’s so worth the laughs and comfortable as well is an A+ in my book. 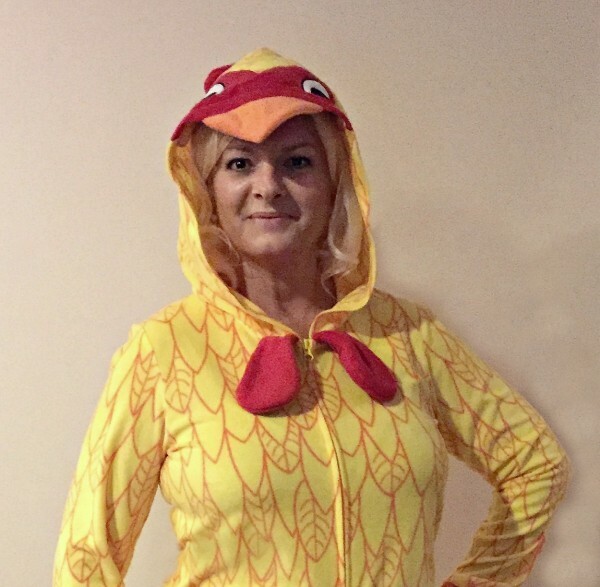 Oh, it’s GOT to be the chicken onesie! We have two backyard chickens, Dixie & Trixie, who faithfully give us eggs every day, plus lots of laughs. They run to greet me, just like a dog would do, they come when called, & they love to cuddle in my lap. I love my sweet girls! I love the Little Mermaid ones, Ariel has always been my favorite character! Those pajamas are adorable. Thanks for sharing! These pjs are so adorable! I’d love to have them. MY foster granddaughter would so love this she is a silly girl that loves unique things so please pick her I would pick the Sugar Skull for her thanks.. These are so cute,im going to get the sugar skull ones ! I think the mermaid ones are the cutest, but I like all of them. I love the shark pajamas. Those are so fun. I love the Minnie Mouse pjs because they are so cute and I love the red color with white polka dots.